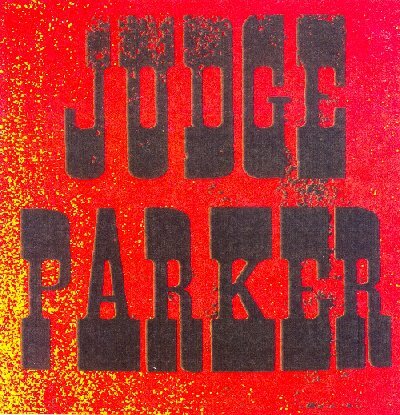 "Judge Parker" . . . a name drawn from the famous nineteenth century Arkansas Territory Hanging Judge, "Issac C. Parker". 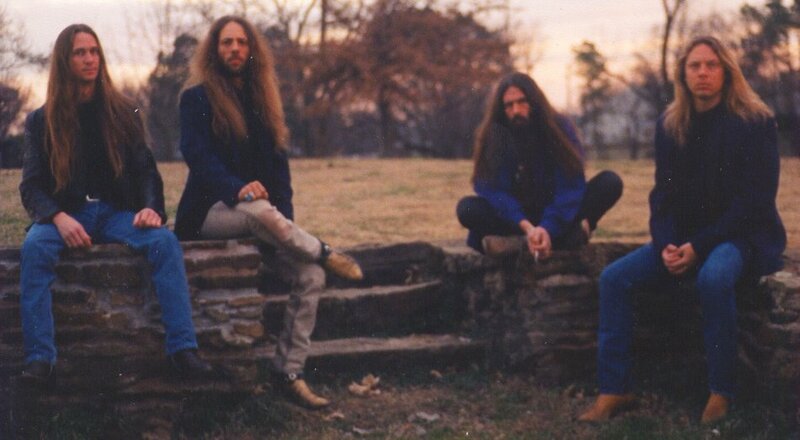 As it was in the 1800's, this most righteous Southern rock Band is making the name Judge Parker a household name once again! While being the brainchild of combined efforts and talents in 1988, brothers Larry and Arthur Pearson have started something that cannot be stopped! Judge Parker stays busy headlining an average of two hundred plus shows and concerts per year in twenty-two states, so far! Judge Parker has shared the stage with dynamic acts such as Black Oak Arkansas, 38 Special, Molly Hatchet, Johnny Van Zant, Foghat , Marshall Tucker, Head East, Pat Travers, Confederate Railroad, Chris Ledeoux, William Lee Golden & the Goldens, and David Allan Cole, just to name a few! Never let it be said that the band Judge Parker hasn't a heart. This band is also generous enough to give their time and help raise money for organizations such as; Feed the Children, American Cancer Society, S.I.D.S., Battered Women, Arkansas Children's Hospital, and the list goes on. The CD was recorded in Tennessee, under their own label, Court Record's produced by Chris Golden and Johnny Sturdivant Jr., and published under Pearson's own Hanging Gallows Publishing. This CD has received great reviews from radio, newspapers, and music magazines. "The CD is Excellent, and has to be one of the best I have ever heard. 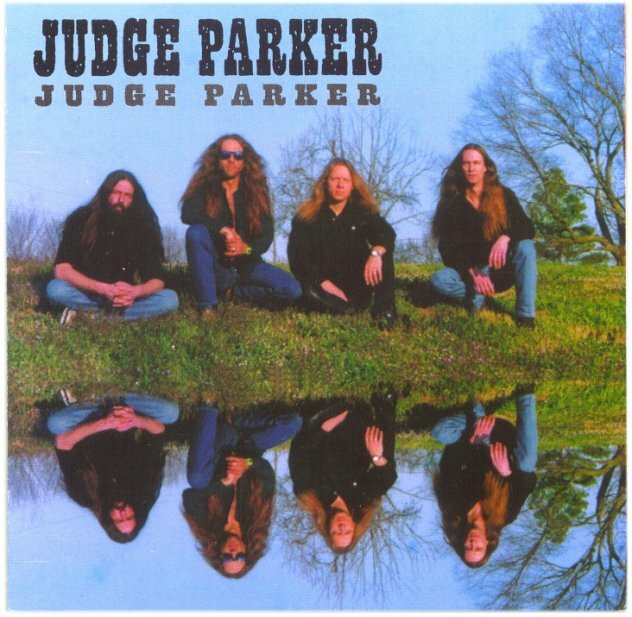 Judge Parker is one of the most professional bands that I have ever met and had the opportunity to work with." - Tine Miester, Blues Network KBBQ 100.7 FM & Rock 102.7 FM. 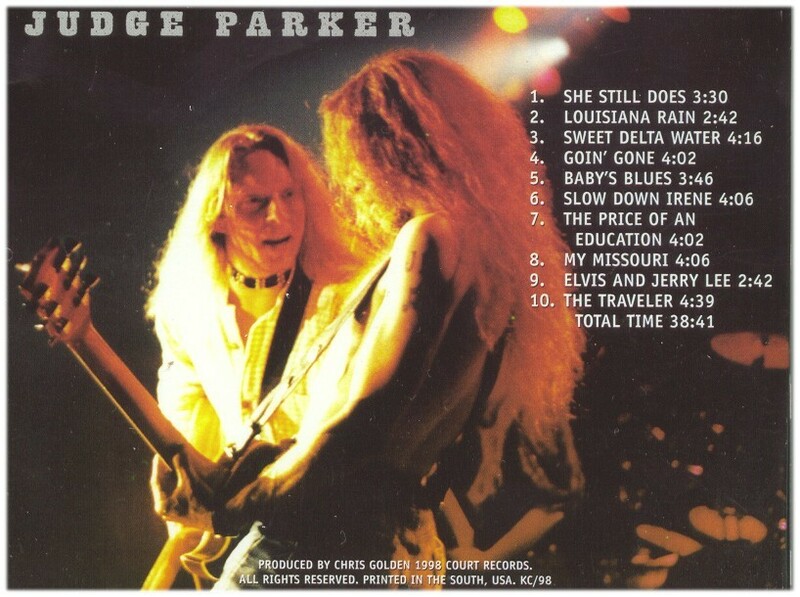 "Yes, Judge Parker, the band, finally has its first CD out, and a fine-looking and sounding disc it is too! It's great to see a local group that has worked so hard and waited so long to make an album that does them and their music justice finally realize their dream." - Linda Seubold, Southwest Times Record Newspaper. "Hey this is HOT! Blending sadness, and joy, Judge Parker kicks it from blue to hey you! So, kick back and enjoy!" - Peter Read, Night Flying Magazine. "Great Album! You guys can rock!" - Skip Mitchell, Recording Engineer, Nashville, TN. Larry Pearson - The lead singer, rhythm guitarist, and spokesman for the group has been performing since the tender age of five years old! Larry possess an excellent "Gregg Allman/Ronnie Van Zant" type voice all his own. His talent's are never ending as he is also the songwriter for the band. Currently a member of BMI, he has written hundreds of songs since 1978. Arthur Pearson - Keeps his Les Paul hot while playing lead! 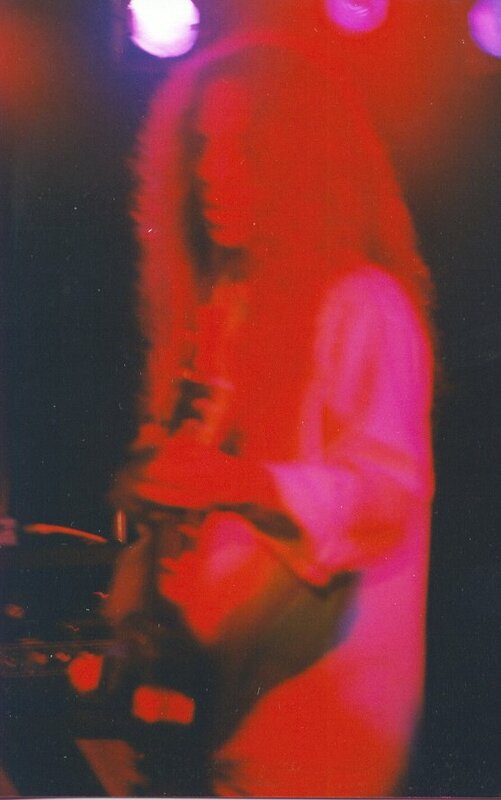 It's no wonder, he picked up the guitar over twenty-two years ago, and hasn't been able to put it down since! 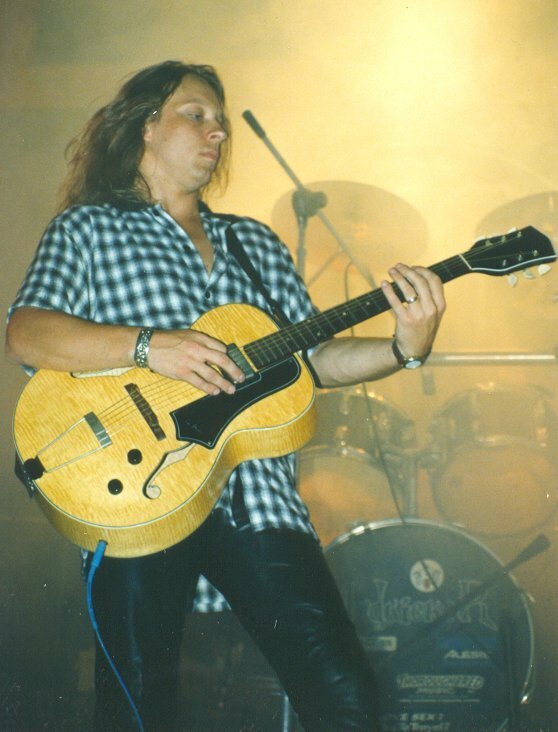 Arthur's love for his music is apparent, others agree, nominating him in 1997 as one of the best guitarist in Arkansas, Oklahoma area. He also helped in writing the music in some of their songs. 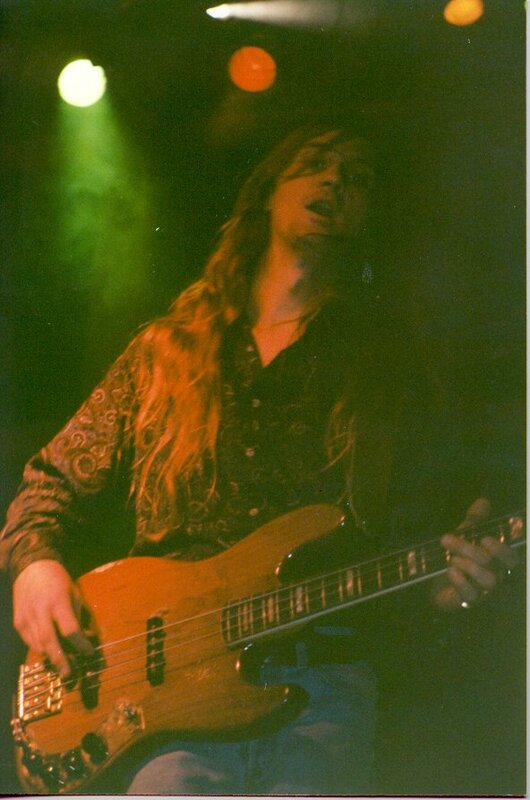 Robert Takatch - This bass player has been playing for over eighteen years! Though only in the band since early 1996, Robert proves his worth everytime he goes on stage. Not to mention, he received a scholarship in music theory were he attended college in his home state of Texas and it has certainly paid off! 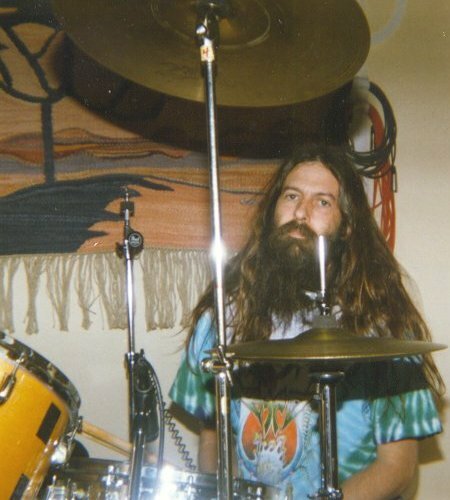 Victor Lukenbaugh - One "Highly Energetic" drummer! He has been on a mission of excellence for over thirty-one years. Playing for some of the greatest, such as "Gregg Allman", "Black Oak Arkansas", and "James Cotton", to name a few! He has been with the Judge Parker Band since 1993. He also received a scholarship in music theory. TOGETHER THEY ARE "JUDGE PARKER"! JUST LISTEN TO THEIR NEW CD OR CATCH ONE OF THEIR CONCERTS! EXPERIENCE THE TRUE SOUNDS OF THE "SOUTH", EXPERIENCE "JUDGE PARKER"!